Apparently, I love a challenge. 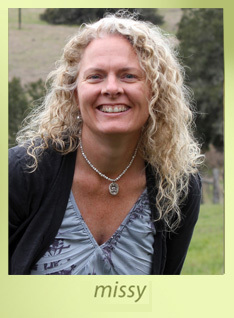 When I found out that someone I care about has a lot of food intolerances and needed to eliminate gluten, dairy, eggs, yeast and sugar from their diet, I sprung into action! Breakfast can be challenging for someone who can’t eat bread, yeast, eggs or dairy. Almonds for breakfast, anyone? 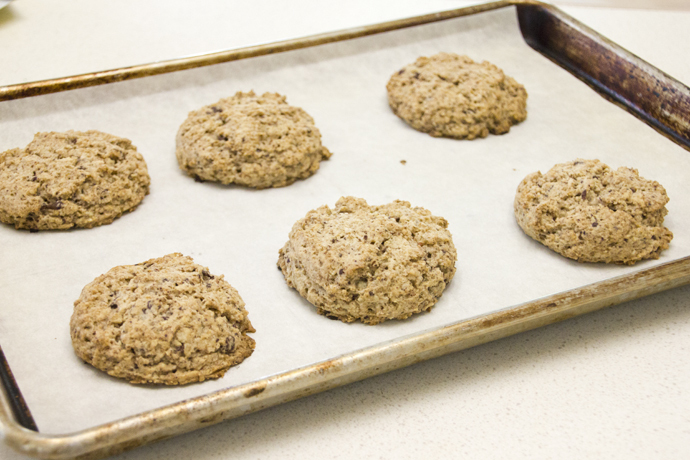 These scones are light and full of flavor and nutrition. Pecans add protein and healthy fats. Oatmeal adds fiber and texture. Chocolate adds deliciousness and some antioxidants. I love xylitol as an alternative sweetener. It tastes very close to sugar, does not have an off-putting aftertaste, and can be substituted for sugar in equal parts. It’s great for using in baking. So, new breakfast: warm, freshly baked scones and a glass of homemade almond milk, with a cup of hot freshly brewed coffee. 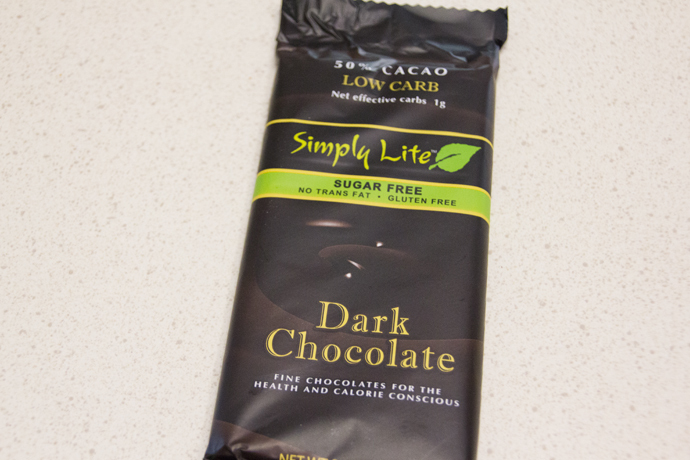 I discovered Simply Lite sugar free chocolate at Trader Joe’s. It’s available online through Amazon. 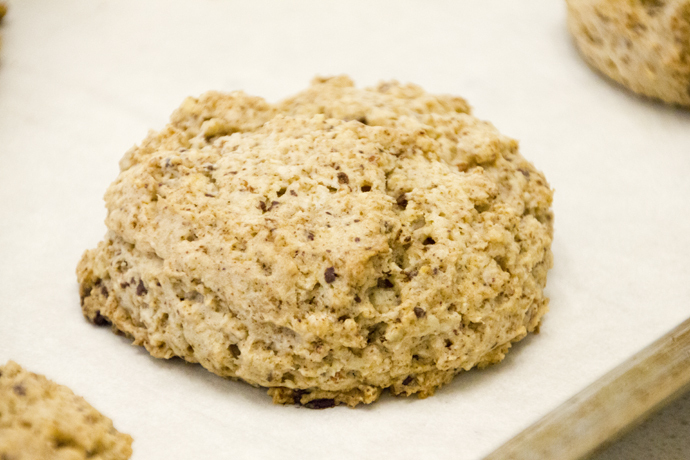 It contains a bit of dairy, but not enough to add a significant amount to one scone. 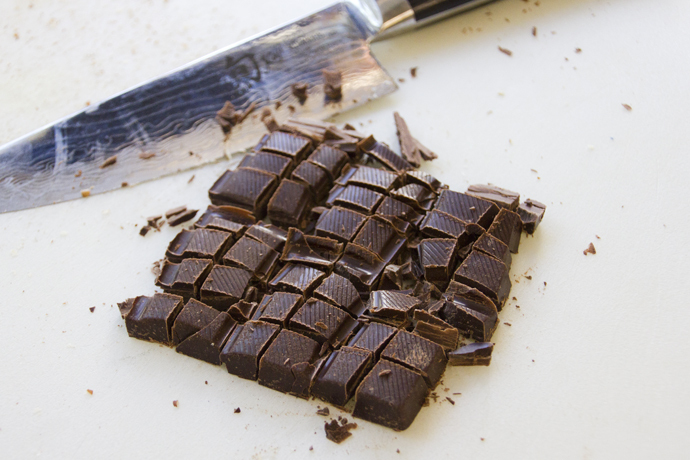 Break off half the bar and use a sharp knife to chop it into 1/4-inch pieces. 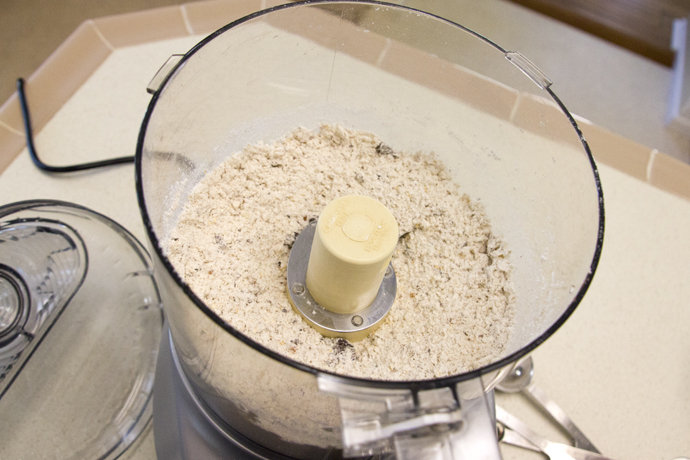 Place dry ingredients in bowl of food processor. 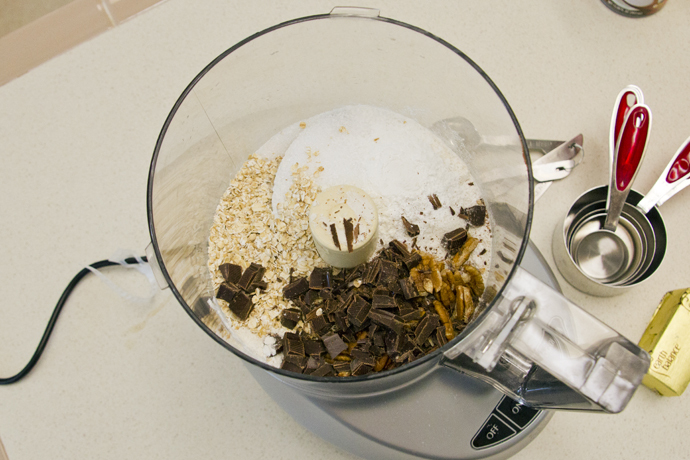 Pulse a few times to chop up the chocolate and pecans. The mixture should look like a lumpy blend. Don’t over process it. Add the pieces of Earth Balance, and pulse until they are the size of peas. 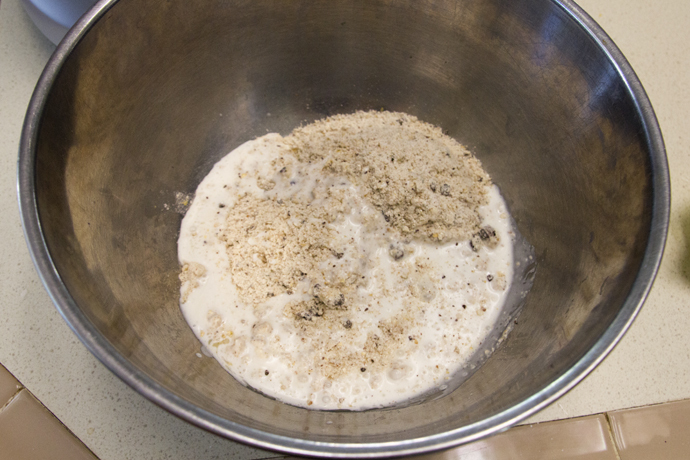 Place the mixture in a large bowl and add the milk. 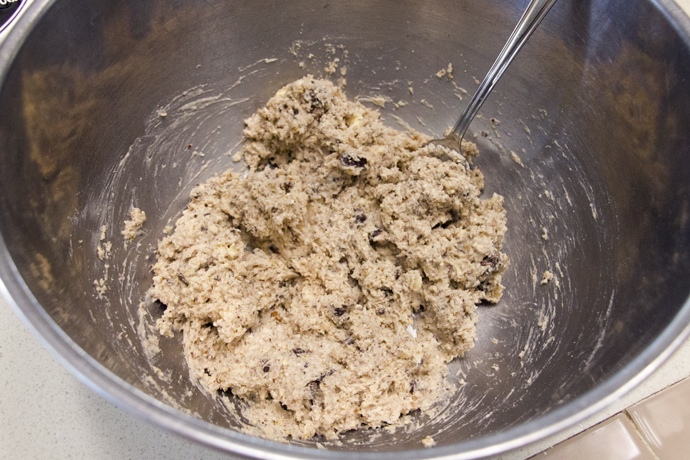 Use a fork to lightly mix the batter until it is evenly moistened. Do not overmix. Use a 2 oz. (blue handled) scoop to portion the scones onto a parchment lined baking sheet. Flatten the tops slightly with your flattened fingers. 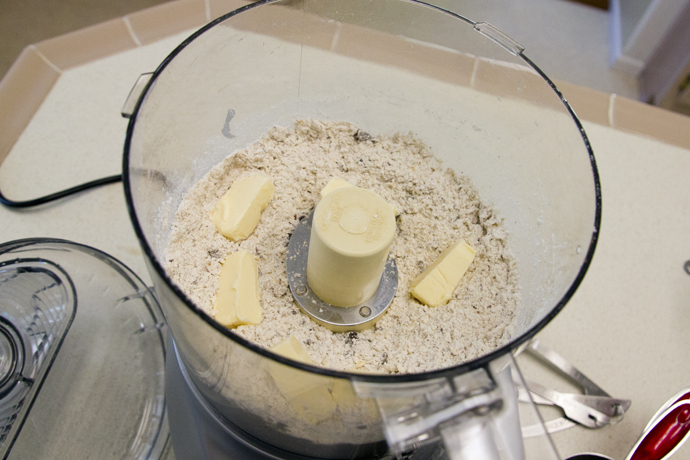 When done, the scones will be lightly browned. Mix milk and lemon juice together. Set aside. Use a 2-oz. 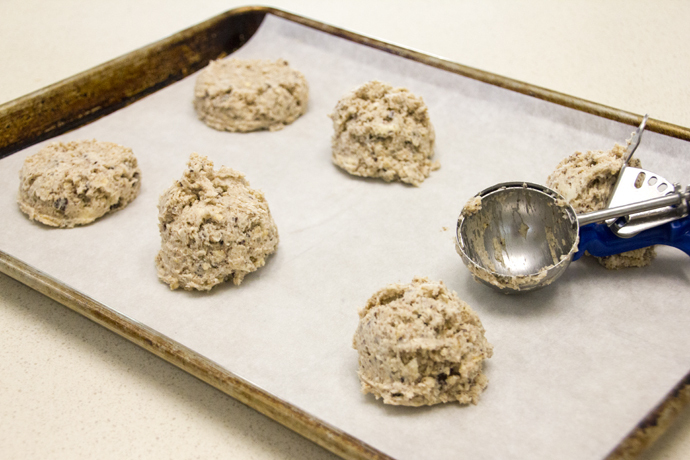 scoop (about a ¼ cup) to portion the dough into six mounds on a parchment lined baking sheet. 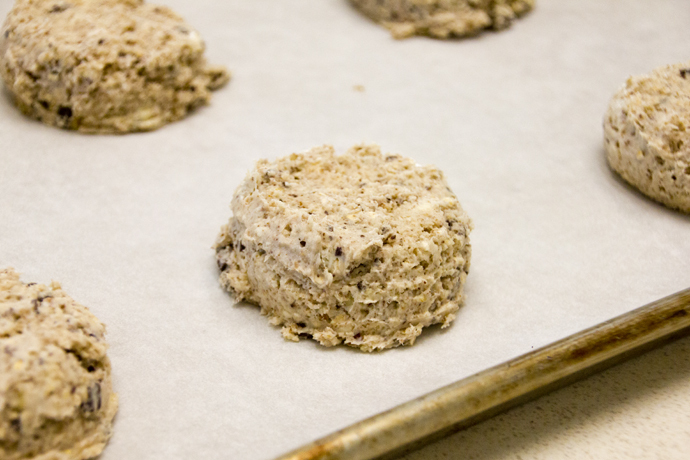 Use your flattened fingers to slightly flatten the scones. Bake 17-20 minutes, until lightly browned.